Bring a flashlight and your sense of wonder as you explore the park after dark. 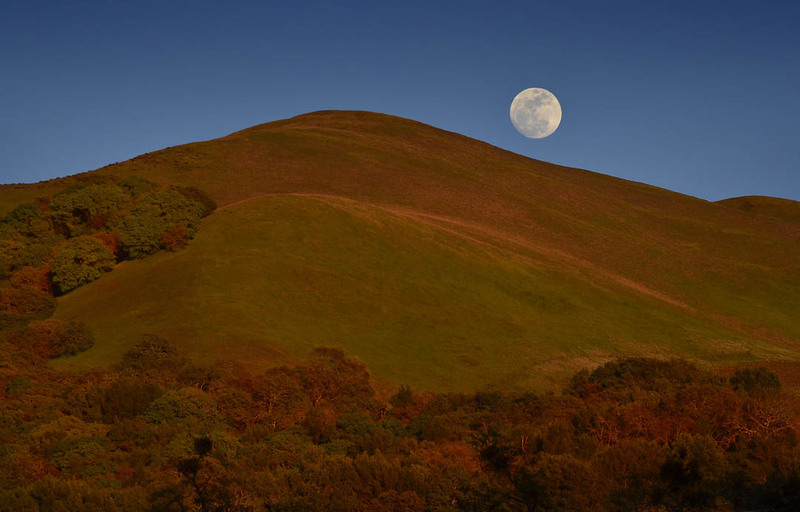 This moderate to strenuous level hiking route will begin at the white barn and head through Meadow and Vista trail where we will see the moon rise over the Mayacamas and the sun set over Sonoma Valley before coming down Lower Bald Mountain trail and completing the loop. It covers 4.5 miles and 700 ft of elevation gain.